Nathaniel Hawthorne is one of my favorite authors and his book, The Scarlet Letter, is unquestionably my all-time favorite novel. Hawthorne also had a great talent for writing powerful, symbolic short stories (read Young Goodman Brown—your life will never be the same). 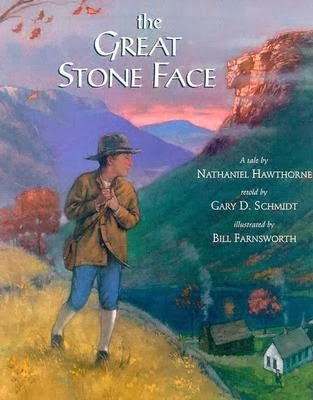 I recently read another of Hawthorne's stories entitled The Great Stone Face. I could write half a dozen blog posts on this single story for it is filled with majestic, yet simplistic symbolism. The story tells about a young man named Ernest who grows up in a small, rural town (most likely in the state of New Hampshire). High on the cliff of a mountain near the town, formed out of a cluster of rock, was what appeared to be the face of a man. For countless centuries, this Great Stone Face had overlooked the valley like a titanic guardian. Local legend claimed that one day, the Great Stone Face would visit the people in the form of a man. When he appeared, the townsfolk would recognize him as the "the greatest and noblest personage of his time." The boy Ernest longed to meet this noble personage and eagerly anticipated his arrival. In watching and waiting for this personage to appear, Ernest spends much of his time pondering about and learning from the Great Stone Face. [The townspeople] knew not that the Great Stone Face had become a teacher to [Ernest], and that the sentiment which was expressed in it would enlarge the young man's heart, and fill it with wider and deeper sympathies than other hearts. They knew not that thence would come a better wisdom than could be learned from books, and a better life than could be moulded on the defaced example of other human lives. Neither did Ernest know that the thoughts and affections which came to him so naturally, in the fields and at the fireside, and wherever he communed with himself, were of a higher tone than those which all men shared with him. A simple soul,--simple as when his mother first taught him the old prophecy,--he beheld the marvellous features beaming [down] the valley, and still wondered that their human counterpart was so long in making his appearance. And the more Ernest ponders the Great Stone Face, the stronger his character became. Not a day passed by, that the world was not the better because this man, humble as he was, had lived. 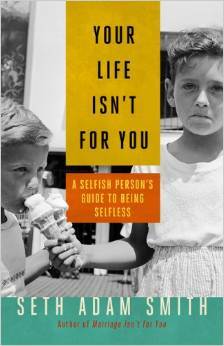 He never stepped aside from his own path, yet would always reach a blessing to his neighbor. Almost involuntarily too, he had become a preacher. The pure and high simplicity of his thought, which, as one of its manifestations, took shape in the good deeds that dropped silently from his hand, flowed also forth in speech. He uttered truths that wrought upon and moulded the lives of those who heard him. His auditors, it may be, never suspected that Ernest, their own neighbor and familiar friend, was more than an ordinary man; least of all did Ernest himself suspect it; but, inevitably as the murmur of a rivulet, came thoughts out of his mouth that no other human lips had spoken. As he grows older, Ernest encounters several individuals who are rumored to have the likeness of the Great Stone Face: a merchant, a general, a politician, and poet. Each of them have flaws in their nature that Ernest discerns. Ernest begins to doubt that he will ever see the Great Stone Face personified. After many years of waiting, the humble Ernest, is asked to deliver one of his sermons at the base of the Great Stone Face.